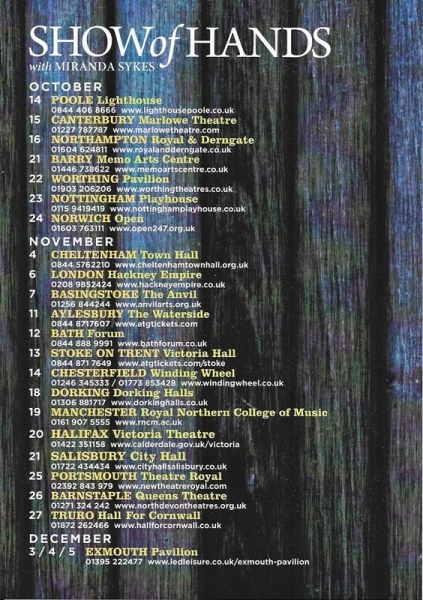 Show Of Hands performing their The Long Way Home Tour at The Nottingham Playhouse on Friday 23rd October 2015. 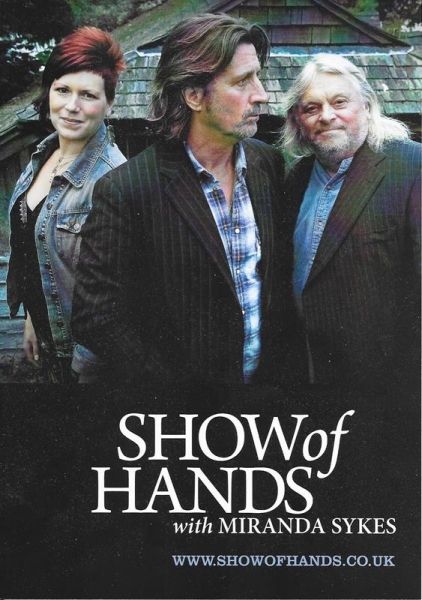 Fresh from their summer appearance at The Robin Hood Festival at Newstead Abbey, Show Of Hands were back at The Nottingham Playhouse to promote their latest album release, The Long Way Home. 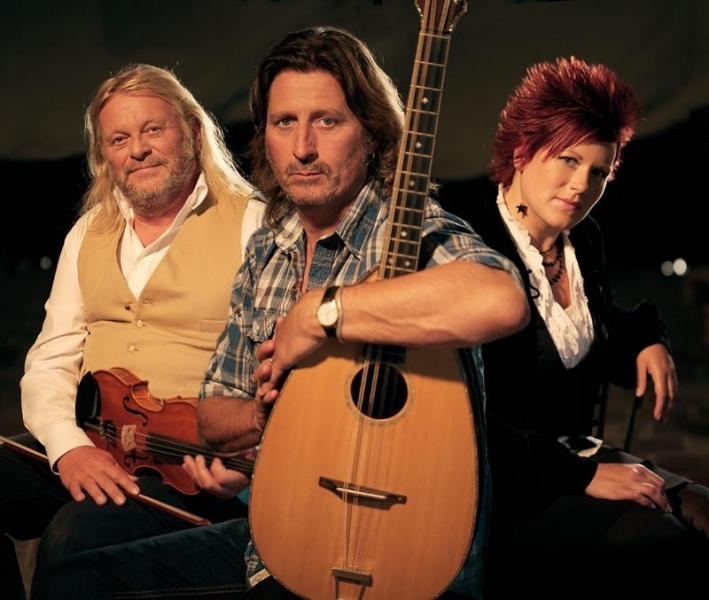 Playing songs from their new album in the first half, this duo is so much stronger for the addition of double bassist Miranda Sykes, who with her rich harmonies, is the perfect complement to singer songwriter Steve Knightley, and the multi-instrumentalist Phil Beer. Opening with tracks like Hallow’s Eve, Hambledon Fair, The Old Lynch Way and of course the title track of the album, this trio showed just how to put a fiddle, guitar and double bass to good use. The occasional introduction of the stomp box showed just how versatile this group are. In the second set we were treated to some of their older songs. There was the bitter Country Life, the attack on bankers in Arrogance, Ignorance And Greed and Cousin Jack, written about the Cornish workers who had been forced to migrate, before they finished with Santiago. Playing their instruments with a vitality and skill that drew the audience in from the start, their set was simply superb. Knightley was the perfect host, offering plenty of easy going chat between the songs before effortlessly switching back to the first class musicianship which is their hallmark. It was an evening of pure entertainment, with the trio clearly enjoying themselves, and who soaked up the well-deserved accolades from the fans that they stopped to meet after the show.